French inventor Jean-Pierre Blanchard and American Dr. John Jeffries made the first crossing of the English Channel by air, in a balloon. Giuseppe Piazzi discovered asteroid #1 Ceres. 1 Ceres was the first asteroid discovered, on 1 January 1801 by Giuseppe Piazzi. It was originally named Ceres Ferdinandea after both the mythological figure Ceres (Roman goddess of plants and motherly love) and King Ferdinand III of Sicily. King Ferdinand was taking refuge in Palermo at the time, the Kingdom of Naples having been conquered by the French in 1798. The "Ferdinandea" part was not acceptable to other nations of the world and was dropped. Ceres was also called Hera for a short time in Germany. Wilhelm Roentgen forwarded reprints of the article he had submitted announcing his discovery of x-rays to several other scientists. The first scheduled airline flight was made, from St. Petersburg, Florida to Tampa, piloted by Tony Jannus. K. Reinmuth discovered asteroid #1105 Fragaria. M. Wolf discovered asteroid #1214 Richilde. Syncom 3, the first geosynchronous communications satellite, passed from civilian to military control. Purple Mountain Observatory discovered asteroid #3335. Carlos Cesco and A. G. Samuel discovered asteroid #1917 Cuyo. The (US) World Data Center A for Rockets and Satellites was transferred to the National Space Science Data Center. The Unix epoch began at 00:00:00 UTC. This is the "zero" hour for most computer time systems in use in 2019. E. Bowell discovered asteroids #2357 Phereclos, #2761 Eddington and #3197 Weissman. The ARPANET, a US Department of Defense internetworking system, officially changed to use the Internet Protocol, creating the Internet. The International Space Year began. 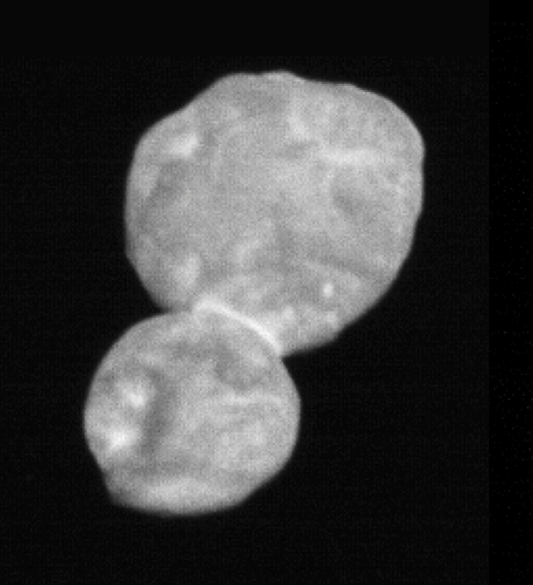 After traveling billions of miles over nearly 13 years, NASA's New Horizons probe passed 2200 miles from Ultima Thule (21 miles long, about the size of Washington DC) at 32,000mph and returned useful data about the dark, dirt-colored Kuiper Belt object.